Vehicle restriction in Cameron Highlands during holidays? KUALA LUMPUR (September 11): Tanah Rata assemblyman Chiong Yoke Kong suggested restricting vehicle entry into Cameron Highlands, due to the extreme traffic congestion in the tourist attraction over the long weekend. The DAP representative, quoted by the Malay Mail, said in a statement that the local government must start studying public transport policy, enforce traffic laws and restrict the influx of vehicles during holidays. At its worst over the past four days, traveling 2 to 3km took three to four hours. “Cameron Highlands District Council can utilise the entrances at Blue Valley and Ringlet, and can even cooperate with the Perak state government to build parking lots at Tapah and Simpang Pulai which are at foothills in order to implement vehicle restrictions and provide feeder services such as small buses that bring tourists to Cameron Highlands,” said Chiong in the statement cited by the daily. Restricting entry of vehicles into tourist attractions is a common traffic control measure in many countries, he said. For example, in China, traffic categories have been classified and there are feeder services to lead tourists’ vehicles to their connected parking spots. 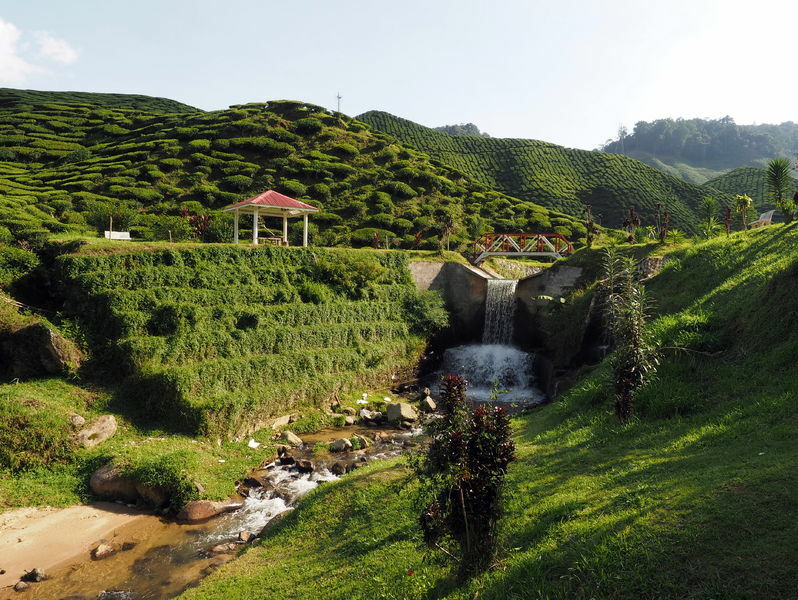 Chiong said that over the past 20 years, the construction of three extra main roads connecting Cameron Highlands made it convenient for tourists to come to Cameron Highlands from the West Coast, East Coast and Pahang. These roads are Jalan Ringlet-Sungai Koyan, Jalan Simpang Pulai-Cameron Highlands and Jalan Gua Musang-Cameron Highlands. Cameron Highlands traffic can be classified into two categories, based on severity. These were a partial traffic jam in Kea Farm, Brinchang and Tanah Rata during regular weekends, and complete traffic congestion during school holidays and long weekends. During long holidays the average number of cars exceeded 10,000 daily, according to Chiong, cited by the publication. Despite the fact that four roads connected each entrance of Cameron Highlands, only one main road was available inside the Cameron Highlands area, creating a bottleneck. “The unplanned and disorganised development by the local and state government has created several traffic bottlenecks in Cameron Highlands,” said Chiong. According to Chiong, local authorities have been lax in enforcing the law against vendors and tourists who park illegally. Pahang is under Barisan Nasional control, while the Cameron Highlands MP is Datuk C. Sivarraajh from MIC.